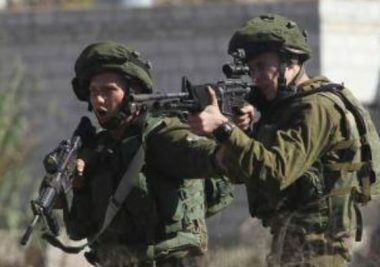 Israeli soldiers invaded, Friday, Tubas city, in the northeastern part of the occupied West Bank, and clashed with local youths, before shooting four with live fire, and causing many to suffer the effects of teargas inhalation. Medical sources in Tubas said four young men suffered moderate wounds, after being shot with live fire, and were moved to the Tubas Turkish Governmental Hospital. The sources added that many Palestinians received treatment for the severe effects of teargas inhalation, without the need for further medical treatment.